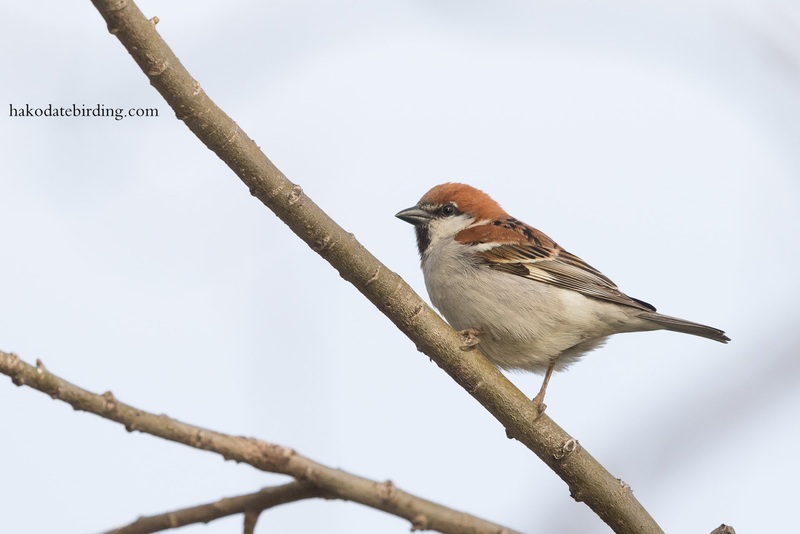 A male Russet Sparrow at Onuma this afternoon. 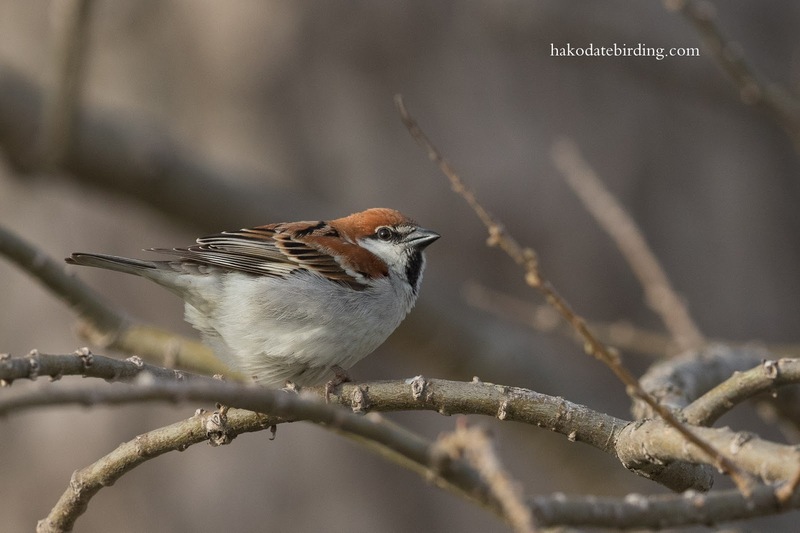 A summer visitor to Hokkaido, this is the 'other' sparrow species in Japan. It fills a similar niche to that of the Tree Sparrow in NW Europe (ie it is nowhere near as common as the main sparrow species and is not generally an urban bird). Of course, just to confuse matters, the Tree Sparrow in east Asia fills the niche of the House Sparrow in the UK. A very quiet day birding wise despite visiting several locations. Great Egret, loads of Red Breasted Merganser and various other ducks, Brent Goose, Osprey, White Tailed Eagle.............but nothing posing for the camera. A Woodcock, another summer visitor to Hokkaido, was a good 'window' bird the other day, it flashed over the house one afternoon. They are an attractive Sparrow I think. We saw them with hundreds and hundreds of Bramlings near Izumi.